India BIM Summit Happening first time in Kerala. This is your chance to understand the potentials of Building Information Modeling which offers numerous benefits and opportunities in the present construction industry. India BIM Summit is organized by BIMLABS Engineering Services Pvt. Ltd in association with Trinity College of Engineering Thiruvananthapuram and the event is scheduled on 8th & 9th February 2019. 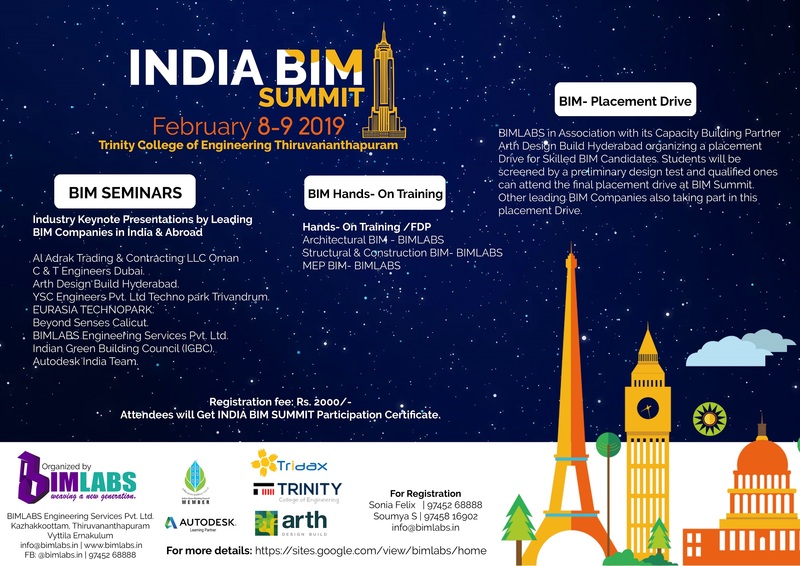 India BIM Summit experience includes a value-packed agenda with opportunities to learn, connect, and explore.